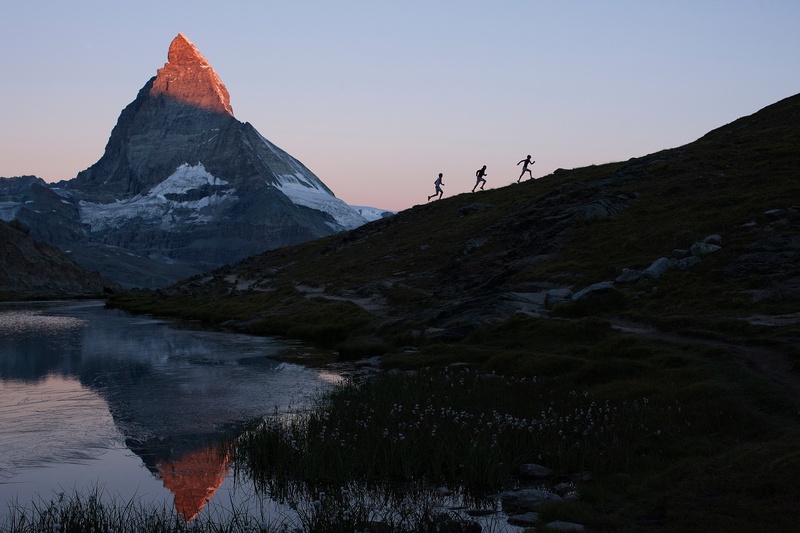 How to train for… Matterhorn Ultraks – Part two. The race is getting closer and closer, it’s just one week to go. Where has all the time gone? After 3 months of intense and serious practise (more or less) the second half of the training was much harder than expected. As the summer came, we went on holidays and leant back. Therefore, we were more relaxing than actually training – if you are not counting swimming in the pool and eating delicious food. However, after being back, we had to keep up with the practise and had to make up for the extra calories and the “not healthy – too much relaxing” vacation. We shortly after noticed, that our minds where more motivated than our bodies. Conclusion: Hello injuries ☹! Sooner or later we found ourselves in a vicious circle: on one hand, we had to go on with our training plan and on the other we had to take care of our knees and other injuries. Thank you, Aufdenblatten Physiotherapy, for holding us together! It was really appreciated (still!). To conclude, the second part was more of a mental strengthening and building up some muscles due to strength training than running training. Don’t make the racer nervous by not knowing where to go. Impressions Matterhorn Ultraks Trail 2016 – check it out!